First a shout-out to the Man Battlestations Podcast for recommending this book. They described this book as The Golden Compass meets Firefly, and that is a fitting description. Retribution Falls is a book about airship pirates and the swashbuckling adventures that they engage in. Retribution Falls takes place on an Earth-like planet. The geography is such that airship is the most convenient form of travel. There is also some magic throughout the setting. 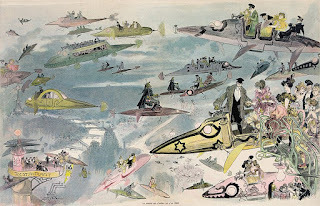 I would describe it as steampunk, although airships and planes are powered by some type of resource specific to the setting that is vaporized via electromagnets into lighter than air gas. 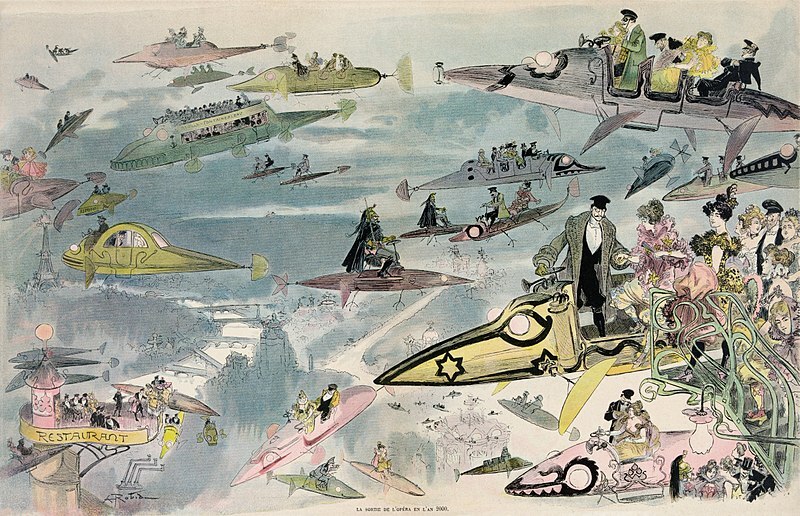 The steampunk feel comes from the airships and the fact that all other technology is from the eighteen-hundreds. Retribution Falls is a fun read that follows the crew of the airship Ketty Jey. The crew is a mix of dastardly characters who engage in pirate hijinks. There is just the right mix of guns, swords, and magic. The world the the author builds is intriguing. There are different factions fighting for power and vertical cities built for the convenience of airships. Giant airships fire cannons at each other while fighter planes engage in tense dogfights. I recommend this to any fan of genre fiction. Retribution Falls is a great inspiration for gaming. The world of the book would make a great rpg campaign world as is, and it has tons of ideas that gms can borrow. So you have read Retribution Falls and you are inspired to do some airship pirate gaming. Where do you start. Retribution Falls has rules for a game in the back of the book. How cool is that! The game is a poker variant called Rake. Rake is a variant of stud poker where the final cards of the hand are dealt in the middle of the table, and the players take turns taking them into their hands. I like poker and this variant looks fun. Rake is played throughout the book, and if you decide to run a campaign based in this world you should definitely have the characters play a hand of Rake. When I was reading Retribution Falls I was thinking of games about air piracy. The first game that I though of was the old FASA game Crimson Skies. I had never heard of this game until I went over to a friend's house and he had it set up on his table. He explained that it took place in an alternate history where the US became balkanized and air piracy was big as people used air shipments to smuggle cargo across the fractured political landscape. There were no airships in the scenario we played but it was enjoyable. We each had two fighter aircraft. The game used pre-plotted movement. Whenever an airplane was hit you put a clear template over your plane sheet used it to mark off damage that was done to your aircraft. This was interesting because you could pick different types of ammo that did special damage. For example, armor piercing rounds would go straight through the body of the aircraft while explosive rounds would take out shallow, broad chunks of the aircraft. The game is now out of print. WizKids published a version with airplanes that had heroclix style bases but I never played that edition. If you want some air piracy and are lucky to find a copy, check out FASA's Crimson Skies. There are a few miniatures rulesets that deal with airship combat, although I have not played any of them. One that comes to mind is Dystopian Wars. The original owners of the game have gone out of business and the IP is being transferred to a new company. The game is in limbo right now but if you want to have some airship fleets attack each other it is worth checking out. Note that Dystopian Wars also involves naval units and land units. Imperial Skies is a game published by Brigade Models. They publish the rules and sell miniatures for the game. It looks like pre-WWI airship combat with ships and fighters. Ironclads & Ether Flyers is a set of miniatures rules that was written in the Space 1889 universe. The rules can be purchased in pdf from rpgnow and in print from Amazon. You will have to find/build your own miniatures for these rules. Any of these games should allow you to have some nice airship combat on your tabletop. If you want to run a campaign set in the world of Retribution Falls there are a few games that come to mind. The main thing is that you will want a ruleset that can cover swashbuckling action, magic, and most importantly airships. The company Cakebread & Walton publishes a game called Abney Park's Airship Pirates. The game is based on the music of the Steampunk group Abney Park. I have not played to game but it has airship pirates in the title. It also has time travel and dinosaurs but any good gm could hack this game to fit the setting. Cakebread & Walton have also a version based on their simple and excellent OneDice engine. FATE would be another game that I would consider using if I was going to run a Retribution Falls game. I think that FATE handles swashbuckling action well, and there are a few FATE settings that have airships. The one that I would use would be Kriegszeppelin Valkyrie from FATE Worlds: Worlds on Fire. While this settings is more of an alternate WWI with huge blimps and biplanes, with some magic thrown in and a few hacks here and there it would work well to run a Retribution Falls campaign. My personal choice for running a Retribution Falls game would be Amazing Adventures from Troll Lord Games. This uses the SEIGE engine which runs their Castles & Crusades game. It is basically a streamlined version of the d20 system. Amazing Adventures has magic rules already built in. I would recommend using the Amazing Adventures Companion as it has some character classes (pirate, soldier) that would work well. So check out Retribution Falls and then go game some airship piracy!